7. I take it the UK always complies with its terms? Um, no: see the list of related cases at the bottom of this post. 8. Who else is a member of the club? 44 other countries plus the EU, covering almost all of Europe and some of Central Asia. 9. Has everyone who signed it ratified it? No, Liechtenstein, Monaco and Switzerland haven’t. Each too poor, I suppose. 10. Does it have its own enforcement procedures? Yes, the Aarhus Convention Compliance Committee (ACCC), which gets “communications” from individuals from its signatory states, and determines disputes between private parties and signatory states at hearings in Geneva (a non-ratifier). Great website if you know what you are looking for – every piece of paper in every single case, so true transparency. The EU has fully implemented the bit about Environmental Information – see the Directive governing access to environmental information (Directive 2003/4) – with its domestic equivalent the Environmental Regulations 2004. It did the public participation bit via Directive 2003/35 – inserting new public participation obligations into Directives about Environmental Impact Assessment (85/337 as amended, so think planning) and Pollution Control (96/61) and tying this into provisions about access to justice (i.e access to courts). These have all been duly transposed into their domestic equivalents. But there is no general implementation of this pillar, though new EU Directives get Aarhus-style provisions in them. 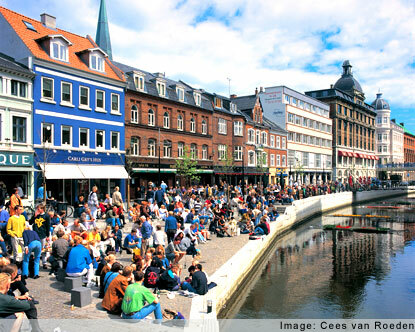 The EU came up with Aarhus for its own institutions, rather later, in the form of Regulation 1367/2006 – much criticised for not doing a proper job, even by the EU’s own General Court: see my post here; as have the EU’s restrictive rules about standing in its own courts: the ACCC said the latter were in breach of Aarhus in 2011 (see here) – and see my post on the recent Inuit case in which the CJEU stuck to its guns on standing. But Aarhus rules (and hence those about access to justice) may apply whenever there is an EU obligation in play – see Lesoochranárske zoskupenie VLK – the Slovakian Bear case. Ratification by the EU gives the European Commission the right to ensure that Member States comply with the Aarhus obligations in areas within EU competence (see Commission v France Case C-239/03 (2004) ECR I-09325 paras 25-31). For the purposes of domestic law, the Convention has the status of an international treaty, not directly incorporated…. Thus its provisions cannot be directly applied by domestic courts, but may be taken into account in resolving ambiguities in legislation intended to give it effect. So the fact that the UK is or may be in trouble with the ACCC is by no means definitive with the domestic courts. 13. Aarhus action to come shortly? The CJEU to say whether it agrees with the A-G on the infringement proceeding about prohibitive expense and interim remedies. The Supreme Court to apply the existing CJEU guidance in Edwards on prohibitive expense.